Desire to Decorate: How about orange? 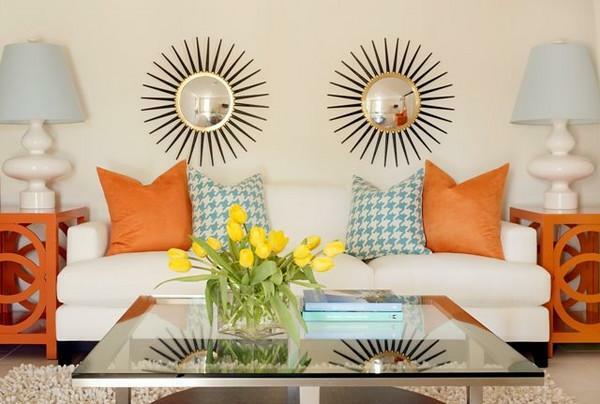 Ever since Canadian House & Home did a story a few years ago featuring the colour orange (or tangerine as they called it) I've had this infatuation for the colour. 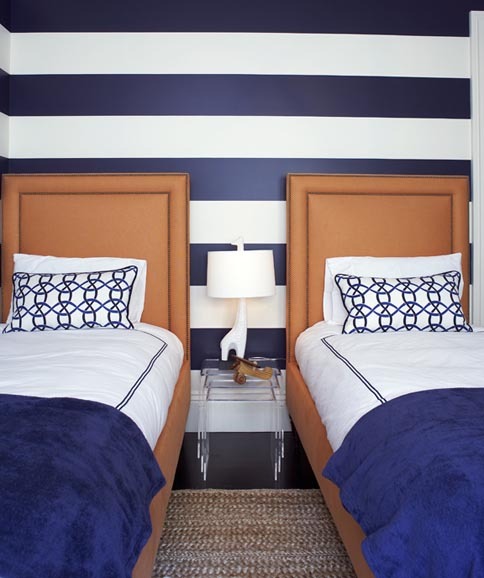 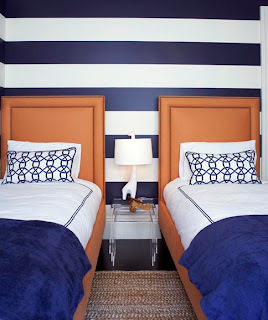 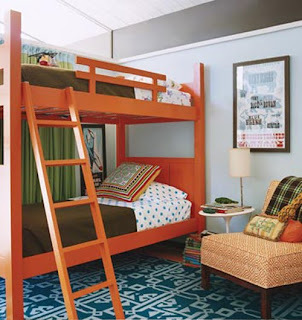 I've always loved the orange & blue combo for boys, and maybe one day I'll introduce it in one of my boys rooms. 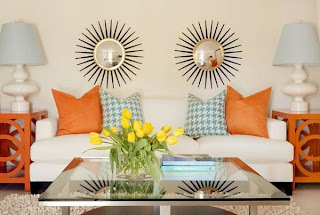 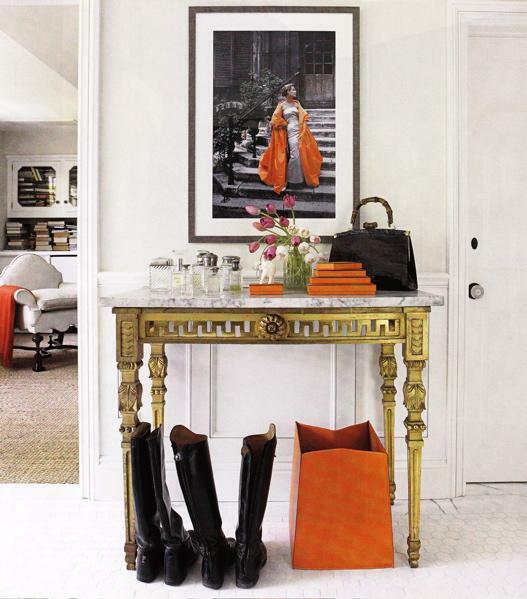 Recently, I've noticed orange showcased in a variety of decor magazines so I thought to share them with you - I love how it gives the decor a edgy twist! 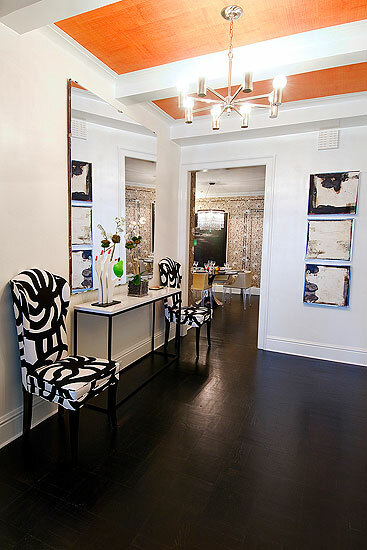 Canadian House & Home and Design Inc.
And, if you're a little intimated with painting orange on the walls - how about just on the ceiling? 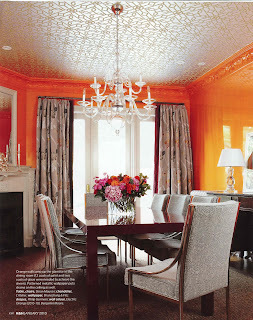 And, finally if you're still not willing to take the plunge... here's a few pictures where orange is used as accents! 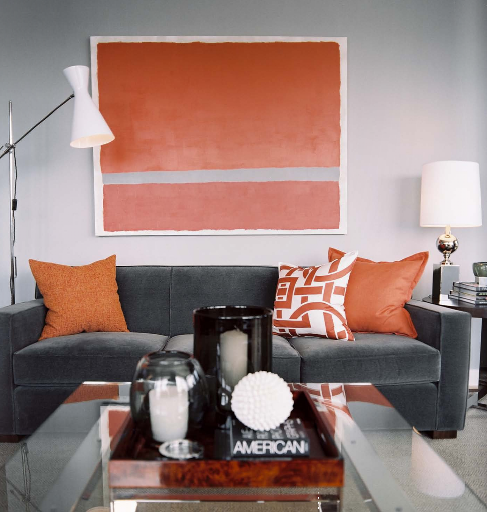 Finally, for more orange favorites, head here for more inspiration! 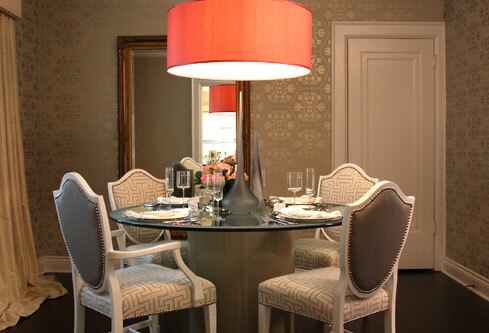 Photo credits; decorpad, puredesign, decorpad, elledecor and amandenesibetdesign.